Being a dietitian is for me an amazing job, however it is also a very misunderstood job. With the rise of nutrition bloggers, wellness experts and a range of questionable nutrition courses springing up, I guess the new kid on the block is always the most exciting. 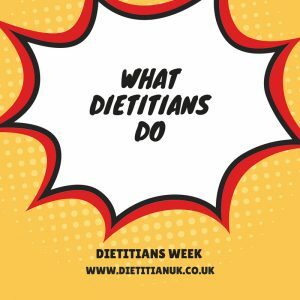 With it being Dietitians Week this week I thought it was a good time to remember what the heck dietitian’s actually do! 1. 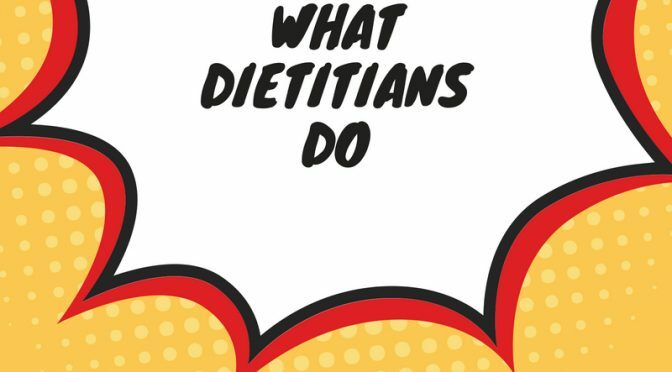 Dietitians are evidenced based and have a legally protected title. So any old Joe Bloggs can’t set themselves up as a dietitian. They have to keep up to date in their specialist areas and do so many hours of continuing professional development every month. This is assessed by the HCPC (Health care professions council) and we can be struck off the register for malpractice. You can check if your dietitian is registered here. 2. It is a minimum of 3 years of training to be a dietitian, this includes biochemistry, physiology, nutrition, research skills and so much more. There are clinical placements where you work in a hospital/dietitian setting to really put things into practise. This means by the time a dietitian is qualified they have already been working and know their stuff. The way this differs to a registered nutritionist (also the good guys, I started out in nutrition myself!) is by the clinical work, the knowledge of disease states. 3. Yes some dietitians work in hospitals or within the NHS, however many also work in other areas. This could be with the food industry, with councils, with food brands, in the media or in private practice. 4. It’s very much a food first approach and not all about supplements and selling products. You won’t find many dietitians pushing you to buy from them in a clinic setting. In fact most of us are not that business savvy but are focused on the people/area we work for. 5. People focused is how most dietitians are. It is a very caring profession, a profession who really wants to help others, to get the right information out there and who work hard. All the ones I have met are always a lovely bunch of people who you actually want to spend time with. Look out for my post later this week on great dietitians to follow!